The new funding programme – the Headley Fellowships with Art Fund – aims to give mid-career and experienced curators ‘time away from their day-to-day responsibilities to embark on in-depth research into their museum’s collection’, with organisers saying that funding will be provided to ‘backfill their post either full-time for six months or part-time for a year’. 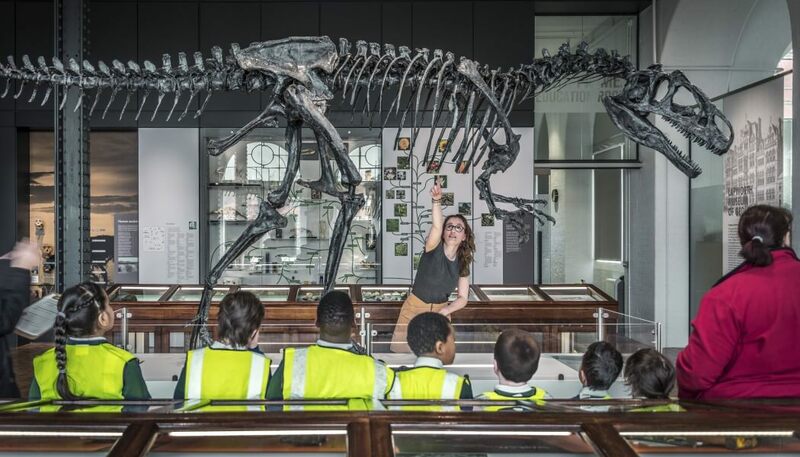 The investment will strive to build specialist knowledge relating to collections in museums across the UK and how they can better engage audiences. The Art Fund says that 34 per cent of local authority museums have reduced the number of full-time staff in the past year (Museums Association 2018 Study) and its own research has revealed a decline in the number of curators and specialist roles nationally over the past 15 years. It says this, coupled with the decline in public spending on museums over the past decade (13 per cent in real terms), means there is an ‘urgent’ need to support the individuals who look after the collections held in public museums and galleries across the UK. Curators can apply for fellowships that could, for example, enable them to realise ideas for engaging audiences with the breadth of their collections, forge new relationships and share knowledge between museums and fellow curators across the country. Headley Fellowships with Art Fund is a three-year programme which will enable 22 curators across the UK to undertake a fellowship. The Art Fund says each fellowship will result in a creative project – such as an exhibition, re-display, book or learning programme – that shares the knowledge gained with other curators nationally and with the museum’s audiences. Each fellow will also receive up to £5,000 towards training and research, which can be assigned towards travel, learning opportunities and courses of study, the purchase of publications and other resources. Applications for the scheme open today, Wednesday 18 July – see guidelines and forms at: the Headley Fellowship with Art Fund. Applicant curators must be nominated by their institution, demonstrating a commitment to advancement of specialist knowledge across the organisation. Applications close on 15 October 2018. Successful curators for year one of the programme will be announced in early 2019 with fellowships expected to commence from April 2019. The Headley Trust is one of 16 Sainsbury Family Charitable Trusts and makes grants of around £5 million a year, largely in the Arts and Heritage sector, with museums and galleries its priority, particularly those operating in the regions. The trustees have a special interest in the professional development of curators, as well as the display, study and acquisition of British ceramics and the conservation of industrial, maritime and built heritage.